A Small Group Holiday Adventure Tour for 7-9 People. Book in for an exceptional Party Week in the Petite Maison, a restored 18th Century villa, nestled in a typical Provencal hillside village, enjoying all day sun with in a walled garden covered with vines, outdoor terraces and large swimming pool. Visit some close by regional sightseeing highlights and experience gourmet delights while enjoying a range of lunch time and evening entertainment. A wonderful Bastille day party in our own village of Saint Maximin. Dinner, wine and dancing in the square followed by a cabaret act. Cost: approximately 25 Euros per person. Come and meet the Mayor and the locals and dance the night away. A Bastille Day gourmet 5 course lunch at Vacqueyras one of the most important wine areas about 1 hour from the house. If you want to arrive at 10am and buy a 3 Euro glass you can sample free the wines from the Vacqueyras and Gigondas Area. Lunch starts at midday and there is a succession of gourmet food and wine to follow accompanied by bands, displays of local folk dancing in costume, and dancing for everyone. The tables are set out in the main street under rows of shady plane trees and it is a truly delightful experience. Cost: approimately. 50 Euros per head and worth every penny! During the rest of the week there will be on offer at least 2 in house dinners by Chef Judy in our delightful garden under the grape covered pergola. Cost approx 35 Euros per head plus your wine. Sightseeing trips to local villages and all the interesting sights in and around Provence are less than an hour away and I can suggest itineraries for you. Surely the highlight of the Party week. Spectacular concert with the talented New Zealand (and International stars) Tina Cross and Rikki Morris who are flying from New Zealand to do this concert in Saint Maximin. How lucky are we?! This will either be in the Garden of the “Maison de Maitresse” or in the village square. Appearing together in France for the very first time are two of New Zealand’s premiere performers, Tina Cross and Rikki Morris. In a career spanning more than three decades, Tina is one of New Zealand’s leading ladies of stage, screen and television and she has won numerous awards including and The Pacific Song Contest and Most Theatrical Performer. Joining her is singer, songwriter and television host, Rikki Morris, whose success includes his number one New Zealand hit, ‘Nobody Else’. Rikki and Tina will wow you with their favourite songs including: Islands In The Stream, Every Breath You Take, Memory and Yesterday. 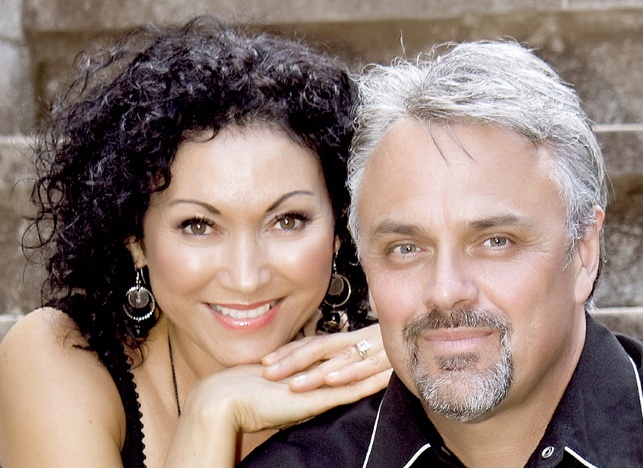 Don’t miss this very special concert from NZ Icons Tina Cross and Rikki Morris. For additional details download the Party Week July 2014 flyer.